It's approximately 1600 miles between New York City and Fort Worth in Texas. Shipping a standard pick up truck starts around $1000 and can go up to $2000 depend on the pick up truck specifications. Any modifications to the truck must be notified in advanced in order for us to find the best carrier who will be able to handle it. 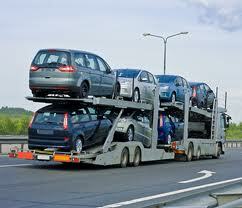 Read more about shipping vehicle to and from New York in our Blog.